This was an ornament I made as a gift - it has the logo of Danielle's unit at AU. 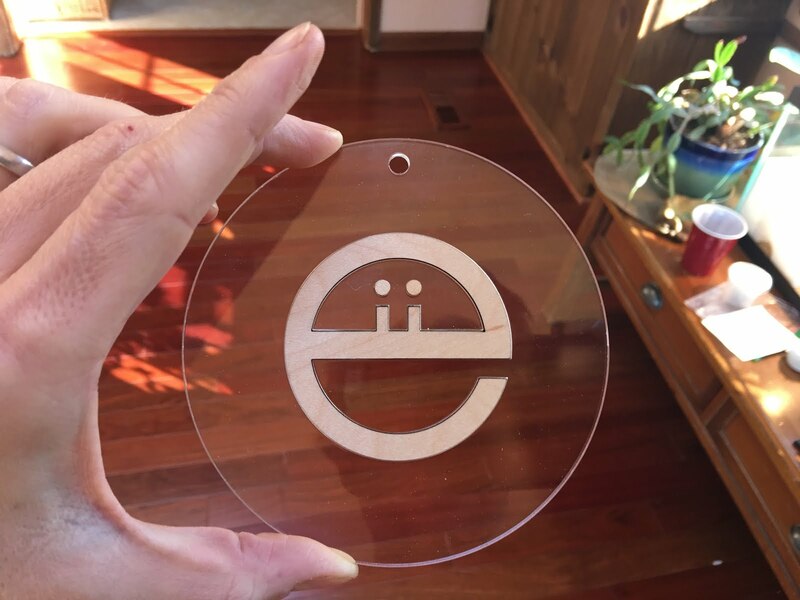 It's proofgrade maple inset into clear acrylic. Getting the kerf just right took some trial and error.